- 4 native FSX models: US Navy F-8C + F-8J / Aeronavale F-8E(FN) / USMC F-8K. - New FSX glass textures and generic specular maps for the exterior, reflective metal on burner cans. - Updated VC radar scope for the long nose late models. 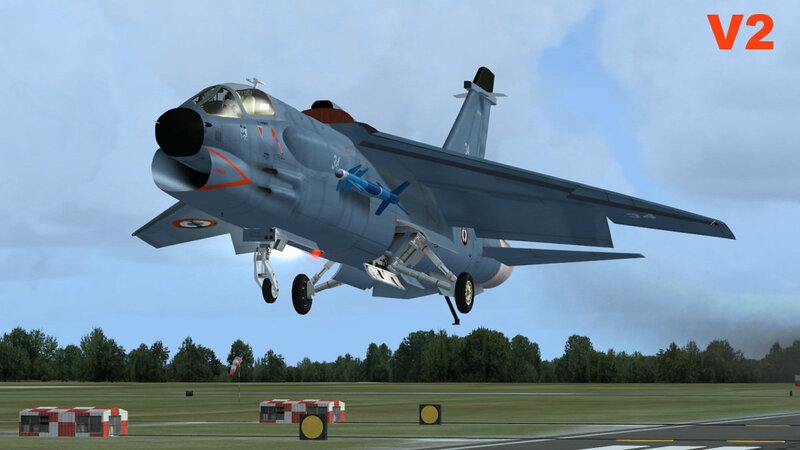 - Weapons can be loaded by entering their FSX Payload weight. - When the afterburner kicks in: BOOM! - New fuel dump switch and wing vents vapour trails fx. - Extra Kneepad checklist explaining the refueling probe animation etc. All times are GMT -8. The time now is 12:35.